Towels By Doctor Joe is a source for anything in towels, including microfiber, cotton, surgical-huck, towel replacement programs, vending, and special towel cleaning emulsifier for microfiber towels. Doctor Joe also provides car washes with environmental spill-control products required by OSHA and the EPA wherever there is a threat of oil or chemical spills. Complete spill kits are also available. 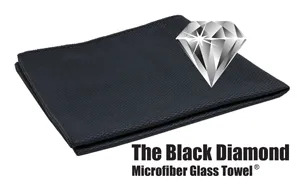 What’s New/Best Seller • The Black Diamond Microfiber Windshield Towel. Advantages/Features • The Black Diamond is an extreme lint-free microfiber towel designed to solve the universal problem of dried white film on glass. New nano lint-suppression technology uniquely woven into the “birdseye weave” delivers perfect streak-free windshields every time. The white buildup will be removed from the glass along with all lint particles. Forward thinking professional car wash investors and owner/operators partner with SONNY’S because of its total offering, leadership, and expertise. SONNY’S education and software products support profitability and their conveyorized car wash innovations, parts, and supplies keep a wash business growing. 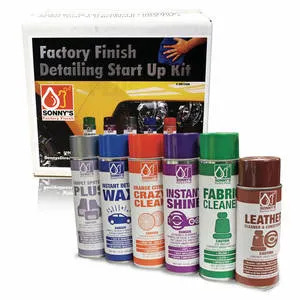 What’s New/Best Seller • SONNY’S Factory Finish Detailing Start Up. Carpet Spotter Plus, Instant Detail Wax, Orange Citrus Crazy Clean, Instant Shine, Fabric Cleaner, and Leather Cleaner and Conditioner. 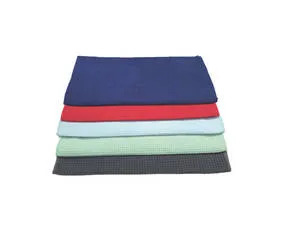 Texas Microfiber manufactures high quality, scratch- and lent-free microfiber cloths and cotton towels for professional car care companies for drying, cleaning, and polishing. Texas Microfiber delivers quality factory-direct products nationwide. What’s New/Best Seller • Soft Waffle Weave Microfiber Automotive Cloths. Advantages/Features Seller • Absorbent and scratch-free oversize cloths with a dish towel feel at 400GSM are absorbent and durable. A lint-free finish provides a faster turnaround for busy car washes. Cross over to detailing and these towels provide double duty. No need to buy multiple towels — you can achieve your goals with one. Multiple colors to select from answer the need for body, wheel, interior, and glass. With color coding you can keep the towels separate and assign a use for each so employees can implement your cleaning system with ease. The 16” x 24” towels are available in blue, red, light green, light blue, and grey. Price Seller • $1.50 each. For more than 115 years, Meguiar’s has provided specialized state-of-the-art formulations to help make every car’s appearance show car perfect. Meguiar’s provides high performance car care products for every automotive surface. What’s New/Best Seller • Ultimate All Wheel Cleaner. Advantages/Features • Meguiar’s Ultimate All Wheel Cleaner is an active gel formula that clings to wheels and stays wetter longer providing better cleaning action than traditional foaming wheel cleaners. The advanced chemistry blends road grime attacking surfactants with active brake dust dissolving agents that work to quickly loosen dirt, grime, and brake dust allowing for little to no agitation. The deep-cleaning formula turns brake dust purple and road grime brown as it gently loosens stubborn contaminants, so you’ll know that it’s working to get wheels back to a “like new” appearance. For over 55 years, Racemark International and GGBailey have been a family owned and operated business designing and manufacturing high-quality products in the United States and Europe. Providing value and luxury for millions of vehicles around the world. What’s New/Best Seller • All-Weather Textile™ Car Mats. 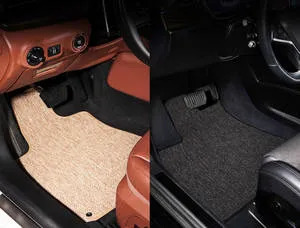 Advantage/Features • The only All-Weather Textile Car Mats on the market conceal dirt particles and protect vehicle interiors year-round with the style and comfort of a textile mat. Designed to hide dirt, sand, snow, and spills on the vehicle floor, the textile fibers create a barrier against elements by providing the optimum balance of dirt and moisture collection. The sleek yet rugged design presents a bold statement underfoot that both protect and enhance the vehicle’s interior. Offered in beige and black color options, the custom-fit, fade and stain resistant mats offer durability while enhancing the overall appearance of the interior. Price • Mats start at $150. Jay Leno’s Garage Advanced Vehicle Care is synonymous with beautiful and valuable cars. All of it products are formulated and bottled in the United States. What’s New/Best Seller • Eco Wash.
Advantages/Features • The waterless car wash formula contains advanced lubricants and emulsifiers to protect paint when access to water is limited. This product is specifically designed to quickly and easily clean lightly contaminated surfaces and leave them with a just-waxed shine. The product allows the user to go a step beyond what a quick detail spray can do and safely remove any light surface contaminants and restore the car’s shine. Eco Wash is available in 16-oz bottles and 1-gallon containers.